The alleged extrajudicial killing of Jamal Khashoggi, and the international condemnation that followed, reflects not only rivalry in the Middle East, but also greater anxiety about the direction of liberal democracy and the international rule of law more broadly. Last week, US President Donald Trump acknowledged that Mohammad bin Salman, Crown Prince and de facto leader of Saudi Arabia, may have been involved in the killing of the Saudi journalist in the consulate in Istanbul. But Trump may never have conceded without the commitment of Turkish authorities to leaking what appears to be undeniable evidence of an alleged criminal enterprise – one that implicated senior members of Saudi intelligence that report directly to the Crown Prince. As the US retreats from key institutions and … in support of international human rights, the death of Khashoggi reaffirms a potential changing of the guard. What to make of this extraordinary affair? On the one hand, Khashoggi’s alleged assassination four weeks ago has served to underscore the existential threat to democratic institutions and the freedom of the press. 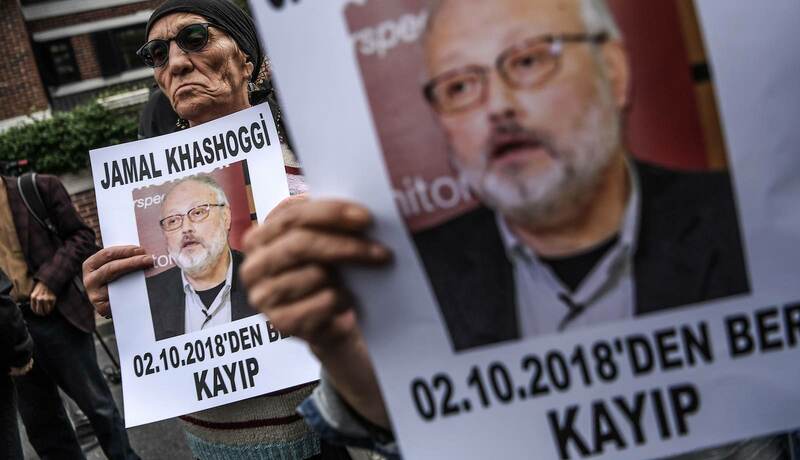 Living in self-imposed exile, Khashoggi was working for The Washington Post, in an era where media is under attack and journalists are increasingly being targeted – even in liberal democratic states. As US senators were attempting to implement sanctions under the Global Magnitsky Act against individuals linked with the alleged crime, Trump was initially defending the kingdom and reaffirming a commitment to the export of weapons. This is the war of the Saudis. This is my war. I don’t want to leave this life until the Middle East is at the front. The Crown Prince’s domestic and regional plans to date have included incarcerating Saudi business people and royals in the Ritz Carlton; allegedly detaining Lebanon’s prime minister Saad Hariri, interrogating him and forcing him to resign his position; and committing to a brutal war in Yemen that has claimed approximately 10,000 civilians and forced 14 million people to the brink of starvation. From the very beginning of Khashoggi’s alleged disappearance, Turkish authorities appeared eager to leak information to the media, careful to extend Saudi Arabia’s humiliation, without severing relations all together. Ostensibly, this was warranted by Turkish claims to compromising intelligence and surveillance material of the extrajudicial killing, including recording the alleged crime. By drip-feeding leaked information to the press, Erdogan patiently tested the international response. Indeed, Erdogan waited until several statements by international leaders were issued condemning Saudi Arabia and demanding an investigation into Khashoggi disappearance and later death, before issuing his own in the Turkish parliament. The human rights record of Turkey’s Recep Tayyip Erdogan has been scratchy, at best. Rather than genuine concern for the free press, democratic freedoms and the rule of law, it appeared that Erdogan was leveraging the alleged murder of Jamal Khashoggi to not only send MbS a message that Turkey is not Lebanon or Yemen and to curtail his regional aspirations, but also potentially to undermine the Saudi Crown Prince’s claims to exceptionalism in the eyes of West. Turkey is still, after all, a member of NATO. Possibly what is least explored or understood is how the extrajudicial killing of Jamal Khashoggi also illuminates broader anxieties for the international rule of law and the fate of the global order more broadly. Despite their current political malaise over Brexit, Germany, UK and France devised a joint statement denouncing the death of the Saudi journalist. The three countries argued that “[d]efending freedom of expression and a free press are key priorities” and that “threatening, attacking or killing of journalists, under any circumstances, is unacceptable and of utmost concern to our three nations”. They three also made clear that their relationship with Saudi Arabia relied upon a shared commitment to “norms and values to which the Saudi authorities and us are jointly committed under international law”. Conversely, Trump appeared reticent to take a decisive stand against Saudi Arabia on the issue of human rights and the international rule of law. Although, this should come as no surprise. In recent months, Trump and US Security Advisor John Bolton have openly attacked the UN multilateral order and the International Criminal Court. Rather, Trump showed more distaste for an extrajudicial killing that appeared “bad” planning, was poorly executed, and what he considered the “worst cover-up ever”. assume our equal share of responsibility. In which we form a counterweight when the US crosses the line. Where we put our weight when America retreats. Countries such as Germany, France and the UK, anxious to protect the international rule of law, showed a willingness to “fill the gap” by denouncing the alleged extrajudicial murder of Khashoggi and demanding accountability at the highest level. In other words, they no longer count on the US administration as a reliable partner.